I had my eyes on trying ON Dining ever since it opened and my cheese-loving friend sent me photos of their cheese board. It’s not a new restaurant so that was a while back. I suppose the only thing that was delaying my meal here was knowing that it wouldn’t be a cheap meal – after all it did earn one Michelin Star this year. I won’t ignite the debate on how valuable that is, but after finally paying a visit, it’s definitely a place I’d return to and highly recommend. ON Dining is located on On Lan Street in Central and it was surprisingly convenient to get to from the office. You’ll never ‘discover’ this place because the street itself is not often frequented and the restaurant is located all the way up on the 29th floor. I loved the ambience of the restaurant and its bar. The decor was formal enough, but the place overall retained a hint of casual vibes, especially at the bar. The almost ceiling-to-floor windows meant that the place was brightly lit up during the day and was the ideal setting for a relaxing long lunch. It’s perfect for business lunches too, which cost HK$288 for two courses and HK$328 for three courses. I went for a-la-carte items, and that was a lot more expensive. The first dish I had was the Chilled Asparagus Veloute with King Crab and Caviar (HK$428) and everything about it was spot on. 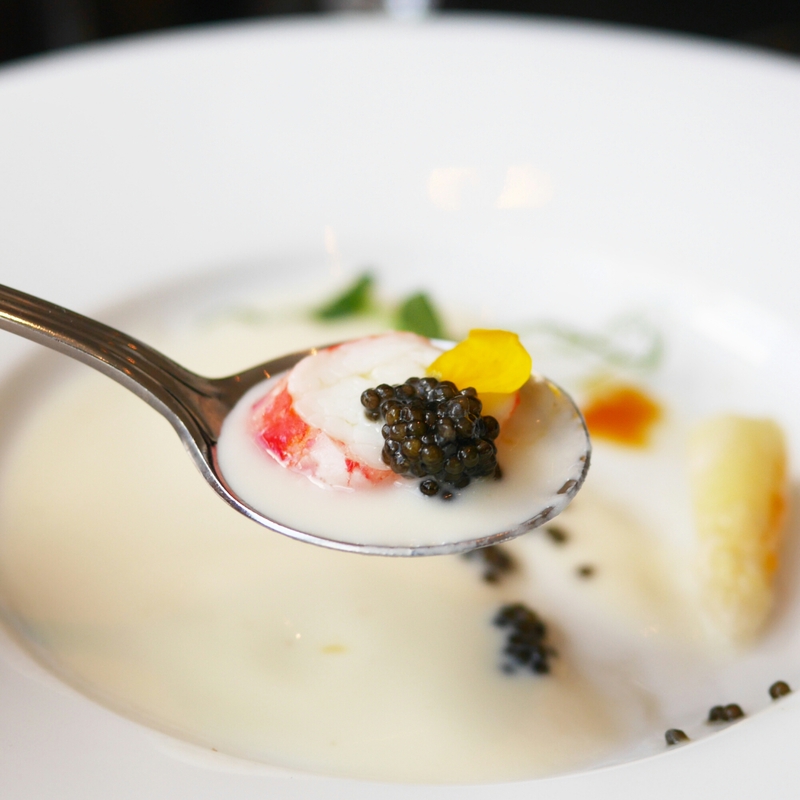 The asparagus soup was refreshing and paired well with the satisfying bites of king crab, while the caviar adds flavour to the dish. 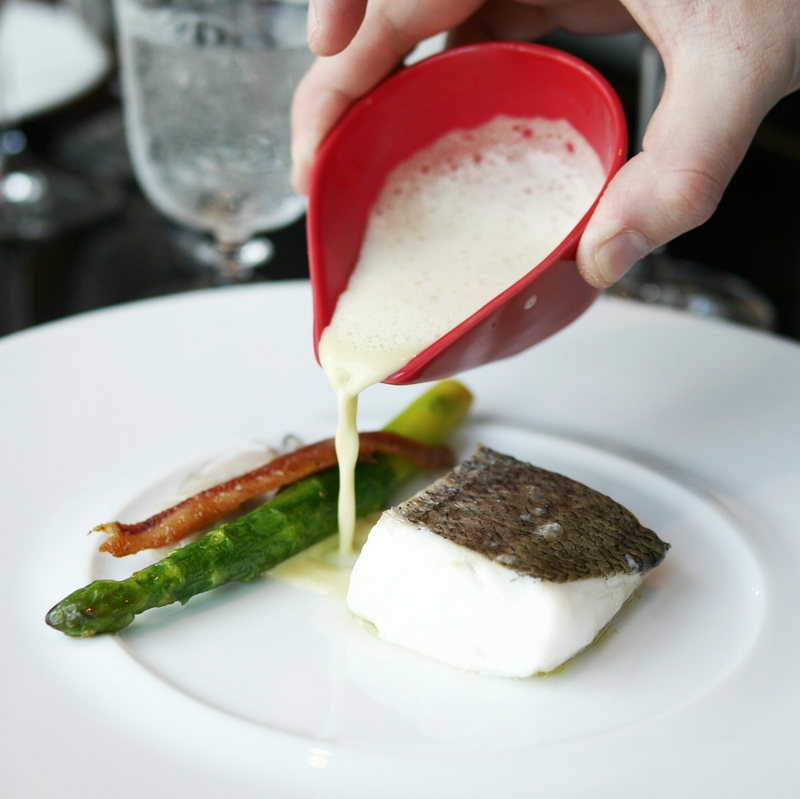 Then I had the Atlantic Hake with Asparagus, Smoked Eel and Japanese oyster (HK$368). You could say this dish was a little random, because it consisted of several very delicious ingredients which didn’t really even touch each other on the plate. But no complains because every item was so extremely fresh. 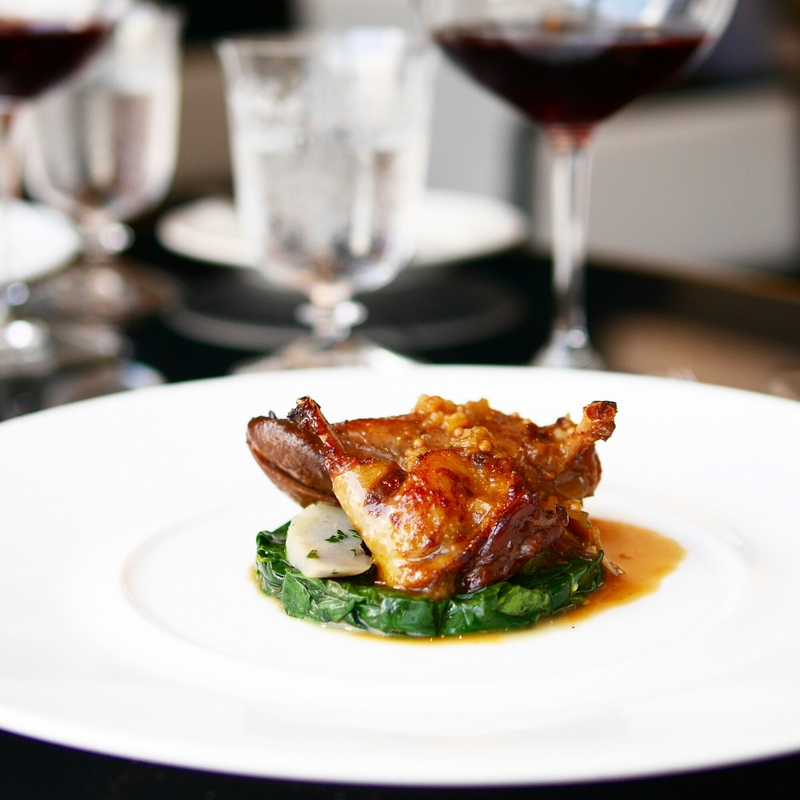 The second main course dish we sampled was the Roasted Pigeon with artichoke and spinach (HK$248/488). The one I had pictured above is the larger, more expensive portion. I want to say this dish is my favourite, but that wouldn’t do justice to the first two dishes which were equally complex and impressive. But I suppose this dish was the most memorable. The meat was cooked to medium rare and the inside was so tender and juicy. It was very flavourfully marinated in an interesting sauce which was even a little Asian-y. It was lunch and cheese definitely felt like too much. But given that ON Dining was first known to my mind for its cheese, I felt like I just couldn’t say no. Even with my high expectations, with me constantly mentioning “I heard the cheese is really good here by the way”, all five cheeses we sampled were off the charts amazing. It was honestly the best selection of cheeses I’ve ever tasted. I usually hate goat cheese, but this was unique with two different textures. Blue cheese is a dangerous one, but this was so ‘easy-to-accept’. I could go on. Let’s just say, my dad is now religiously researching French cheese after he sampled the leftovers I brought home. I hate to put too much emphasis on the cheese, because the starters and main courses were generally designed and executed to the best quality. To me, the food alone closely lives up to what we know as ‘Two Michelin Stars‘, partly because too many not-too-amazing restaurants in Hong Kong have One. 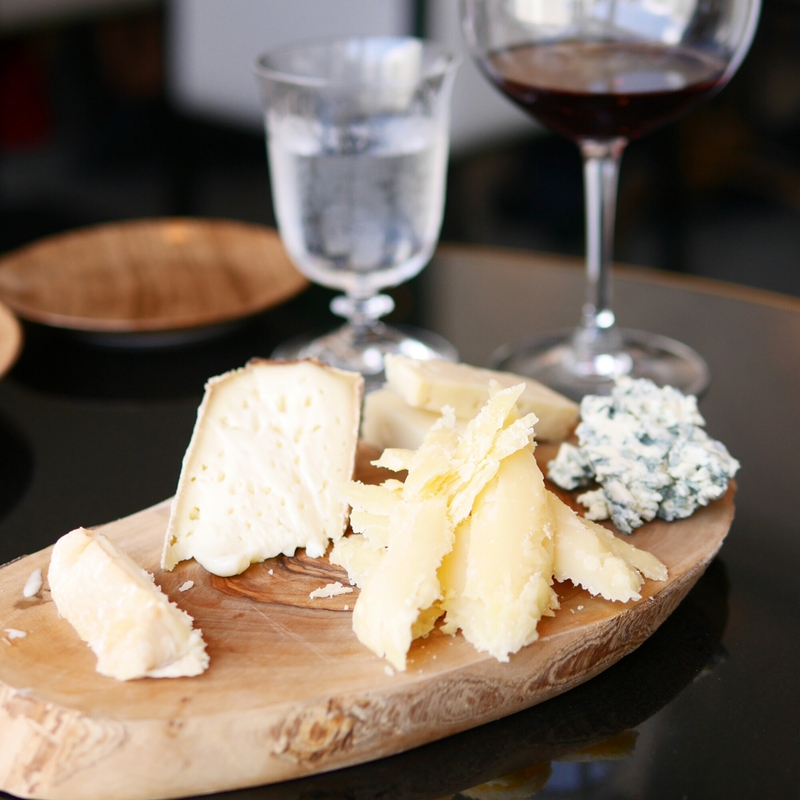 That said, the cheese is way more impressive than any stars can connotate – it’s unmissable. It meant that I didn’t have the stomach space to try their desserts, but I’ll definitely be back for that.